Hiiii everyone! I’m finally in the UK and back to posting – YAY! I’ve been super busy the past few days but realised that I forgot to publish this post. Also, my blog has had a makeover and I’ve changed my blog name and my theme – exciting! 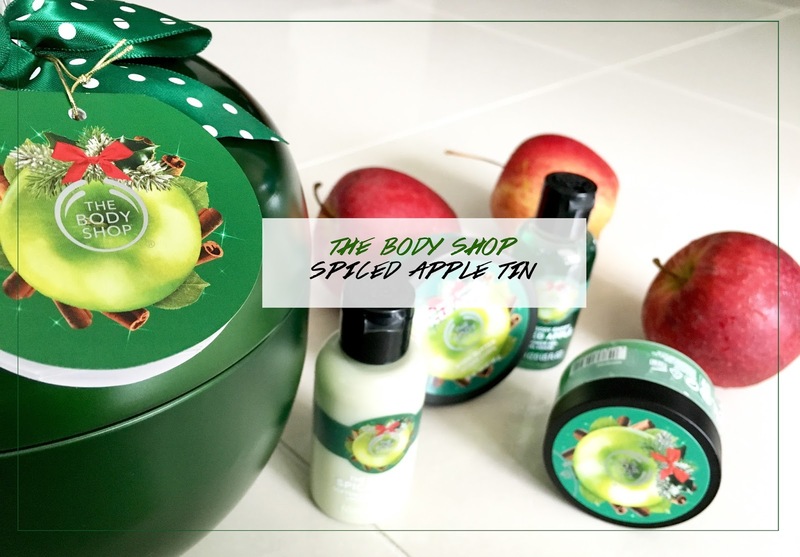 Christmas may be over but I’m still feeling super festive with this Body Shop Spiced Apple Festive Tin that I got. 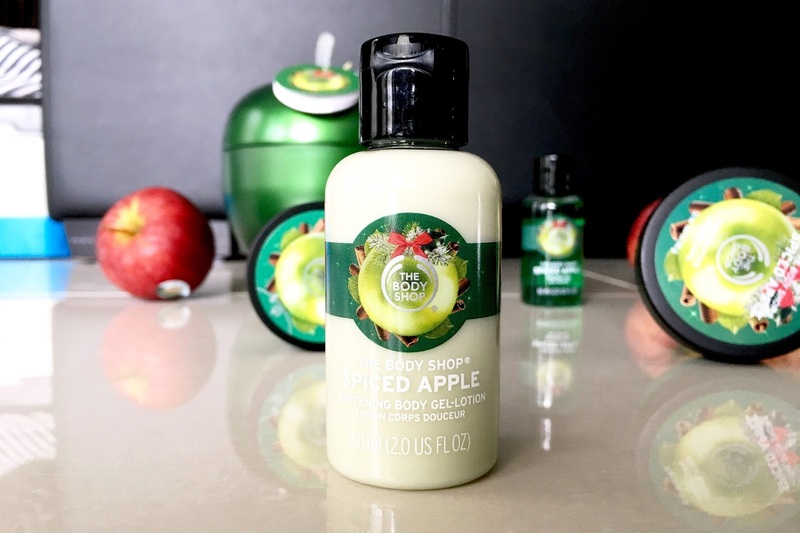 Body Shop is the one brand I can count on to have just the perfect scent. If you need something fruity, they’ve got it. Need something subtle? They have that too. But want to feel festive in Feb? You guessed it, they have that too! When I first opened this tin and smelt the body butter (one of the four products included in this tin), it was heavenly. 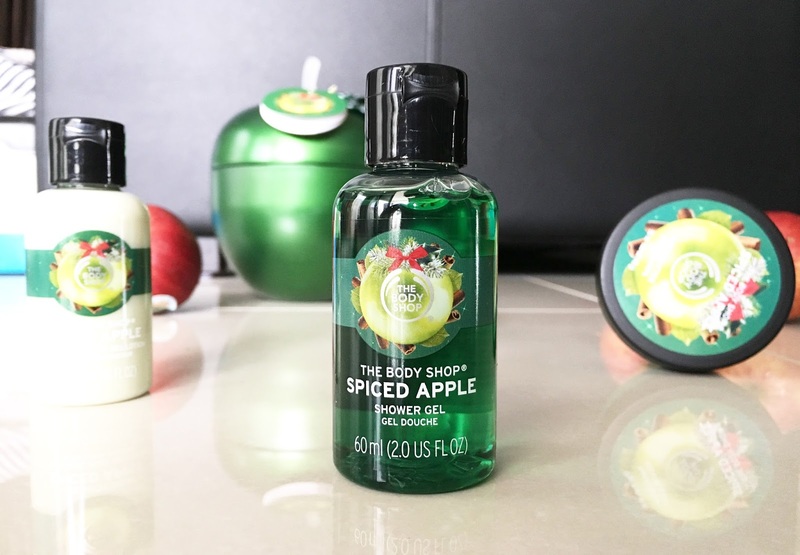 I love all things Apple and I love the smell of cinnamon/spices. 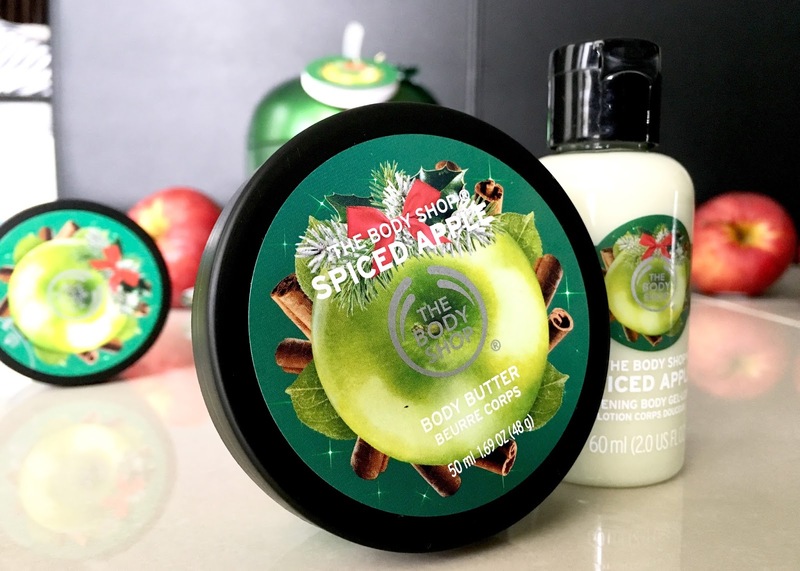 Combine the two and you’ve got a delicious, warm and fruity yet spicy scent – Spiced Apple. 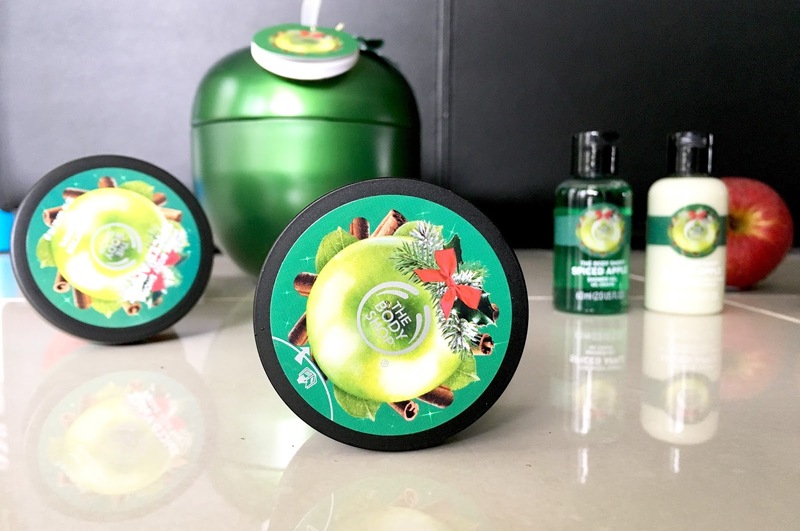 These are the perfect sizes for travel or even if you just want to try out the scent and products before purchasing the full sized ones. I’ve tried most of these products and can safely say I LOVE THEM! They smell heavenly and they’re also very moisturising. They are also the perfect travel size for all your travelling needs! 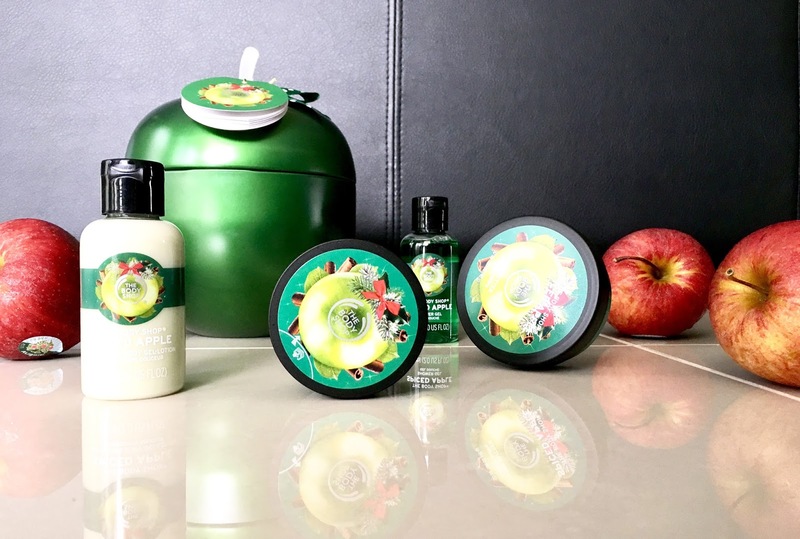 What is your favourite scent from The Body Shop?